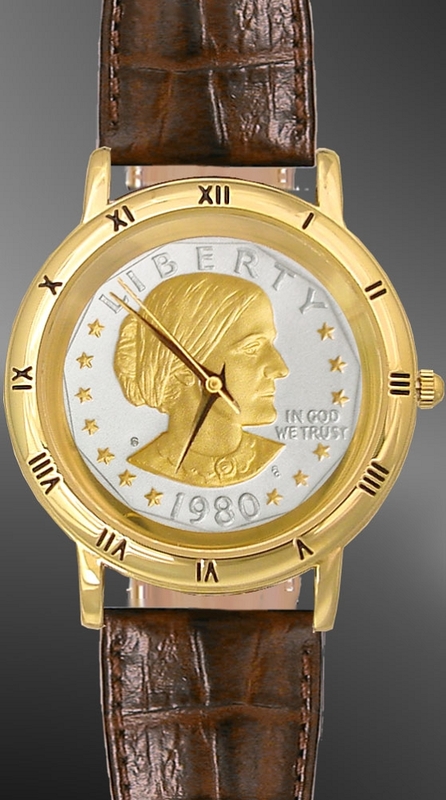 Aurista's Saratoga Series timepieces feature Swiss parts movements and the finest quality components, all assembled in America for guaranteed reliable, high precision performance. 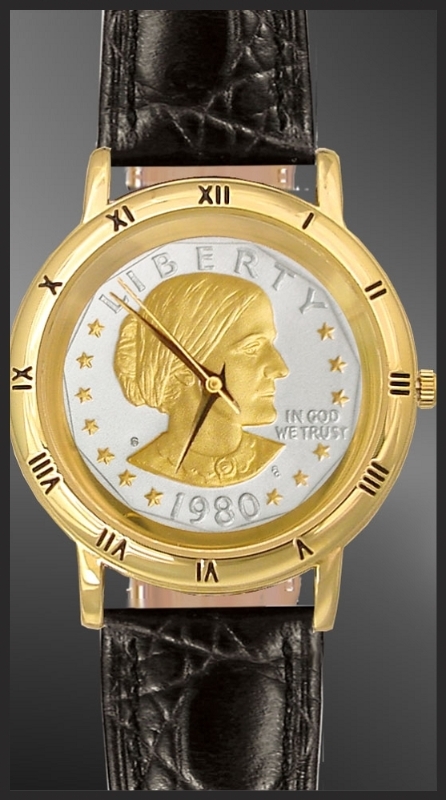 The dial is made from a genuine Susan B. Anthony dollar. Genuine leather strap in your choice of four colors. Aurista's Saratoga Series timepieces feature Swiss parts movements and the finest quality components, all assembled in America for guaranteed reliable, high precision performance. 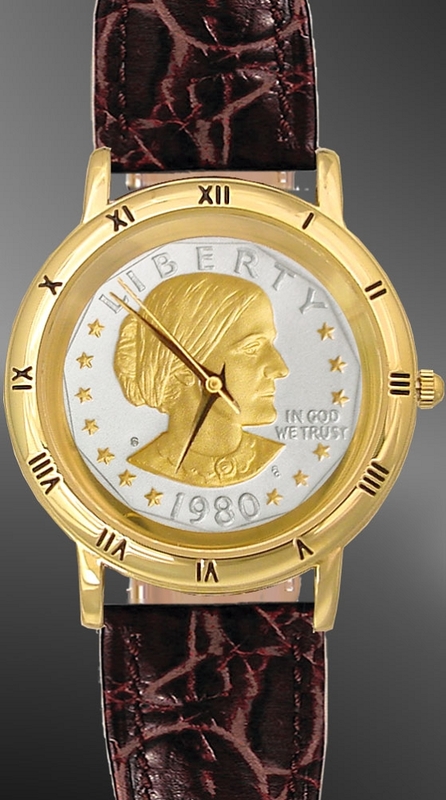 The dial is made from a genuine Susan B. Anthony Dollar highlighted in 24KT gold and pure silver. Genuine leather strap in your choice of four colors. 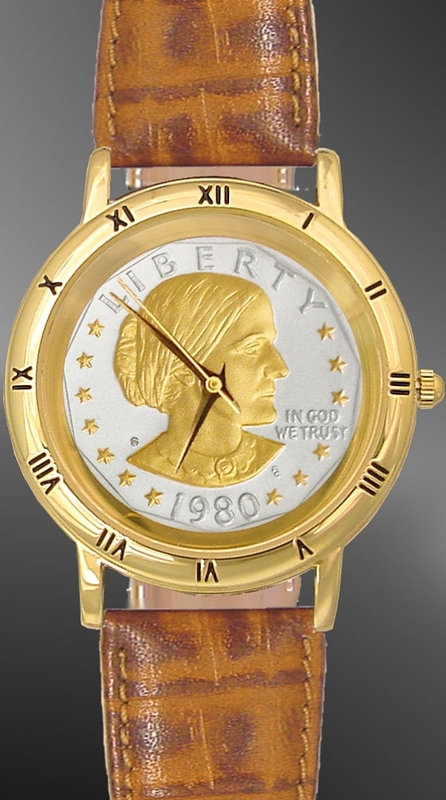 Lifetime warranty against defect, uniquely numbered signet and certificate of authenticity. Packaged with deluxe presentation box.